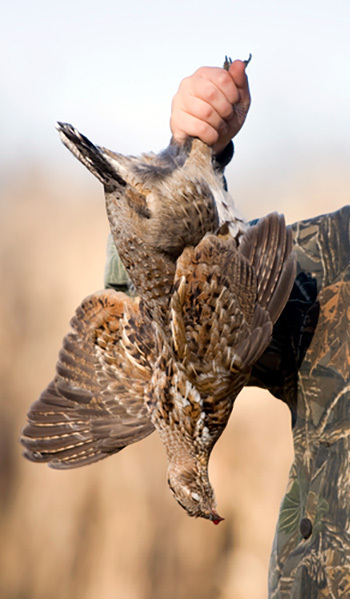 Minnesota is well-known for having some of the best grouse hunting in the entire nation and The Pines Resort is proud to host ruffed grouse hunters from all across the country as they take advantage of the flush rates of grouse in the area. Hunter success rates near our resort in the Chippewa National Forest are very high with the average harvest around 4.3 birds each since 2011. Our great location, just north of Grand Rapids, MN, means your hunting party can look forward to a great ruffed grouse hunt year after year. The ruffed grouse is a native woodland bird about the size of a small chicken. The bird is noted for its fan-shaped tail marked by a broad, dark band. Some ruffed grouse–called red-phased birds–have chestnut-colored tails, and the gray-phased birds have gray or slate-colored tails. The bird also has a concealed neck ruff that the male puffs out during courtship displays. 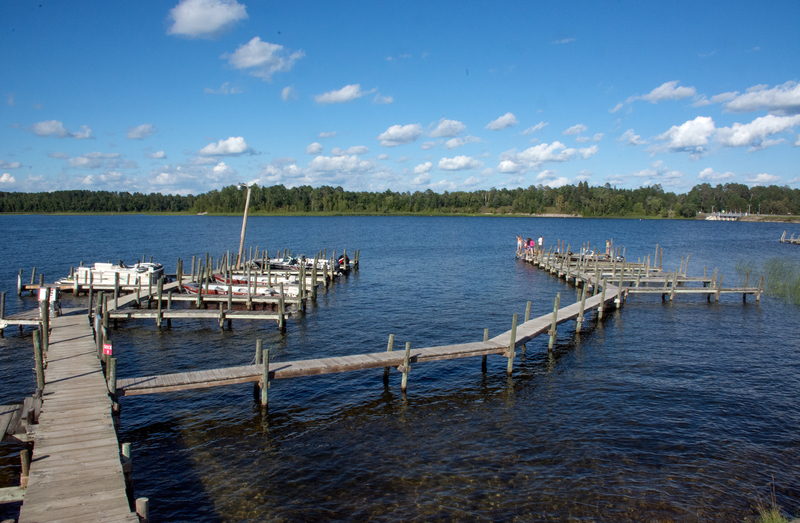 There are nearly 300 miles of non-motorized trails in the Chippewa National Forest and many of these trails pass near the resort through some of the best grouse habitat. These areas move through small, well-distributed timber stands and openings to provide the different aged forest habitat that allow grouse to thrive. Not counting a sturdy pair of boots, a blaze orange hat and vest and a shotgun, all you need to hunt grouse in Minnesota is a valid small game license. Hunters seeking woodcock must be HIP-certified (done when you purchase your Minnesota license) but do not need state or federal migratory bird stamps. Shotguns may not hold more than three shells unless a plug is used. Give us a call today to reserve your Minnesota Grouse Hunting Trip – 1-800-342-1552 or 218-246-8546, or make your reservation online. "Thank you for a terrific first father/son hunt. Jake is asking to go again already. I think we'll be making this a tradition. I definitely recommend your resort to anyone who is looking for a great base camp to hunt ruffed grouse from. Thanks again!"